RICHMOND, Va. - April 8, 2017 - PRLog -- Business owner and small business marketing expert Patrick McFadden will guest teach at Virginia State University when he visits the VSU campus on April 27. McFadden will speak to business students, and invited guests. McFadden is President of Indispensable Marketing. He leads the firm from one audacious idea that marketing for a small business can be effective, actionable and strategic when practiced in a process fashion. "Virginia State University is an innovative institution," says Jonathan M. Young, VSU Director of Corporate Relations. "As a change agent, McFadden will no doubt highlight the importance of real world skills for the next generation of business leaders." 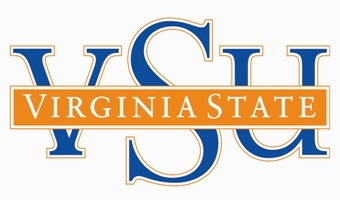 Virginia State University, founded in 1882, is one of Virginia's two land-grant institutions, and is located 20 minutes south of Richmond in the village of Ettrick. At VSU, we are proudly committed to: providing a transformative experience for our students, strategically investing in our academic programs, embracing our position as a top Land Grant University, embracing our role as Virginia's Opportunity University, and partnering together as a University to tell our story. Our aim is to refine "soft skills", augment career awareness, and develop "real world" skills not often learned in a traditional classroom!